Investing in crypto is - thankfully in some cases - not like investing in a Wall Street stock. When a crypto investor buys their favorite coin, they can actually participate in the market price-setting process in a way that’s not possible in other mainstream markets. You don’t find buyers of Apple stocks creating forums where they can discuss their investment choices, and the merits of one stock over another; but that’s exactly what happens in crypto! In traditional investment circles, you don’t find investment bankers wearing t-shirts with a General Motors logo on them; but that name brand loyalty is exactly what you find with crypto-currency! 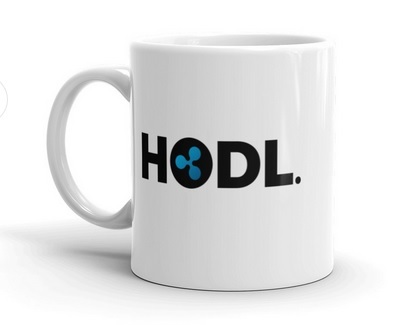 You don’t see your parents sporting a cup with the Tesla trademark stamped on the outside; but that’s common in the crypto market! And gold coins emblazoned with a corporate logo? How about sending stock investments to the moon? Literally? No way do you see these activities in traditional investment markets. And you know what? I’m happy about that, because here in crypto land, we know how to promote something good when we find it, and we’re happy to use any guerrilla marketing technique to get the word out about a revolutionary new technology, along with the digital asset that powers its use. The term "guerrilla marketing" was popularized by a former Leo Burnett creative director named Jay Conrad Levinson.1 For those that don't know, Leo Burnett is a top-tier corporate marketing firm in Chicago. "Guerrilla marketing" refers to the use of unconventional marketing techniques that generate maximum exposure for a product for a small amount of investment. If you need an example in crypto, you don't have to look far - or that long ago. Remember the "Bitcoin Sign Guy?" It turns out "Bitcoin Sign Guy" was real. Security promptly removed him from the hearing room, as the sign violated the House committee's rules. Did "Bitcoin Sign Guy" help promote Bitcoin? Undoubtedly. In fact, the price of Bitcoin almost immediately edged upwards after the incident. Although it's never clear what sort of effect promotion activities have on crypto-currency prices, from what I've seen, the maxim for Bitcoin prices seems to be "No publicity is bad publicity." I’ve emphasized the point before that it’s not enough to be the best, or to have created the most profound technological innovation. If that were the case, then Ripple could rest easy knowing that their job was done. But Ripple knows very well the challenges that await, because in their case, the innovation was to the very heart of the banking system – the way in which payments are communicated across ledgers and currencies throughout the world. XRP markets have also been expanding very quickly, with new exchanges opening each month throughout the world. When I last checked two weeks ago, I found 29 unique exchanges listed that were trading XRP for at least one other crypto-currency. 7 This number represents a doubling of the number of exchanges since the spring of 2017, signaling a swell of demand for XRP. Thousands of people have purchased XRP, and are now stakeholders in the success of this digital asset. We’re all pulling for Ripple to succeed in their market adoption efforts, and we want to be a part of XRP’s promotion – the promotion of our own crypto-currency investment choice. I’ve been struck at how much the XRP fan base has grown since the spring of this year when XRP rose in popularity among the crypto faithful and became the strongest candidate as a replacement for Bitcoin’s “store of value” use case. Because of the high-profile nature of XRP, the portion of the XRP investors that are the most knowledgeable about the technology are out in the collection of forums and social media where crypto is discussed, helping to spread the word about Ripple, fintech, and some of the positive news that has been filtering through both crypto-related and mainstream news sources. We’re out there on Twitter, with sharp debate taking place in 140 characters or less, and on Reddit, helping to spread the word on the latest news, blogs, and other sources of reading material for fans. And of course, the fan base is also on fan forums such as XRPChat - my personal favorite. My personal story is that I started out on XRPChat; I was "blogging” before I really knew what I was doing – I would write long, winding stream-of-thought posts on that forum each day, sharing my perspective on topics with anybody who was willing to listen and discuss. My fellow forum members on that site gently convinced me that I needed to start blogging; hence my blog here on WordPress was born! 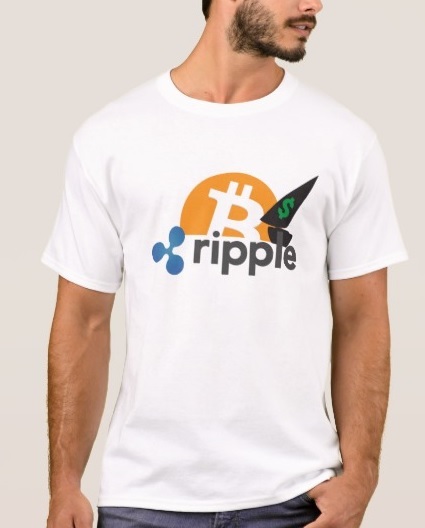 I mentioned examples of swag (specifically t-shirts) earlier in this blog, and it’s no small phenomenon; if you want to invest in a small tchotchke (pronounced "chotch-key") to help start out conversations at your workplace or in other settings about XRP, there are plenty of choices. Spinners? 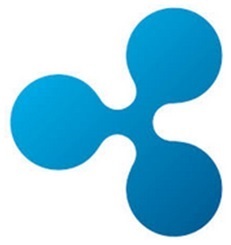 Check: Oh wait, these are not officially about Ripple’s logo, right? Or is it… ? The promotion was organized by one of the most prominent XRPChat members - and moderators - on the forum: @mercury. In addition to organizing formal debates on XRP topics and doing other promotions, @mercury organized a promotion where XRP holders could literally “send XRP to the moon” aboard one of the lunar missions that’s being planned in upcoming years. 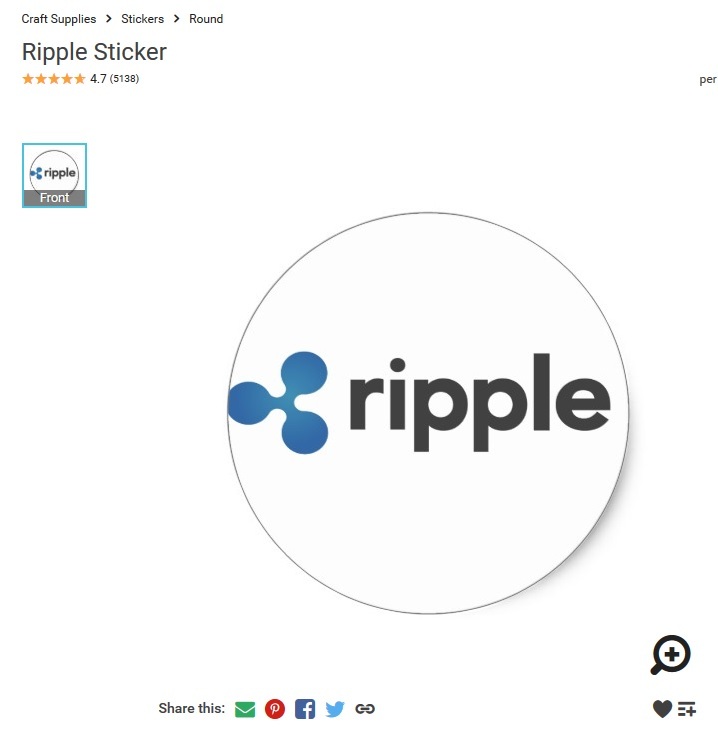 This promotion garnered high levels of attention within the crypto community and helped raise the profile of XRP in a positive way that merged with its reputation of technological transformation. Recently, @mercury constructed a new twist on the “to the moon” promotion, tying it creatively into yet another promotion idea that has been very popularly received: the minting of XRP coins! In addition to sending XRP to the moon via near-instant transactions, XRP investors now have the opportunity to spend some of their XRP by purchasing literal coins… coins that are connected to unspent XRP! ‘To the moon!’ has been a rally cry for each crypto-currency, as a reference to either dramatic price increases or world-wide adoption. The ripple community of XRPChat have taken this one step further. Working with Astrobotic Technology Inc., a lunar logistics company, the community organized a “2theMoon” club and then secured a spot on the planned lunar mission to deliver a payload: A silver bullion medallion. This medallion will feature a representation of the ripple network and the Ripple Inc. (the company building the network) triskelion mark on the face. On the reverse side? An empty wallet. The community is also selling additional medallions in bullion grade gold and silver and a third option in bronze with the majority of the profits being re-directed back into the 2theMoon project and other XRPChat initiatives. When new technology innovations are created, they are not automatically adopted by the user groups that will benefit the most. Examples of innovation adoption and the time it takes for industry usage abound; Xerox, the Internet, Google, the Apple iPhone, hybrid cars. And now XRP. Crypto investing is not like traditional investing – as crypto-currency owners, we have the opportunity to participate in worldwide promotion and adoption of XRP at a level that’s not available to investors in more traditional markets. Let’s not squander this opportunity! If you haven’t considered it already, I urge you to look at some of the options for participating in marketing of XRP – either through the purchase of some XRP swag, or perhaps by gifting one of your family members or friends one of the three “XRP Coin” choices that @mercury is helping to make available through the XRPChat promotion. Each of us can help “get the word out" in our own way about XRP… and if we all work together, nothing can stop us from transforming the world!